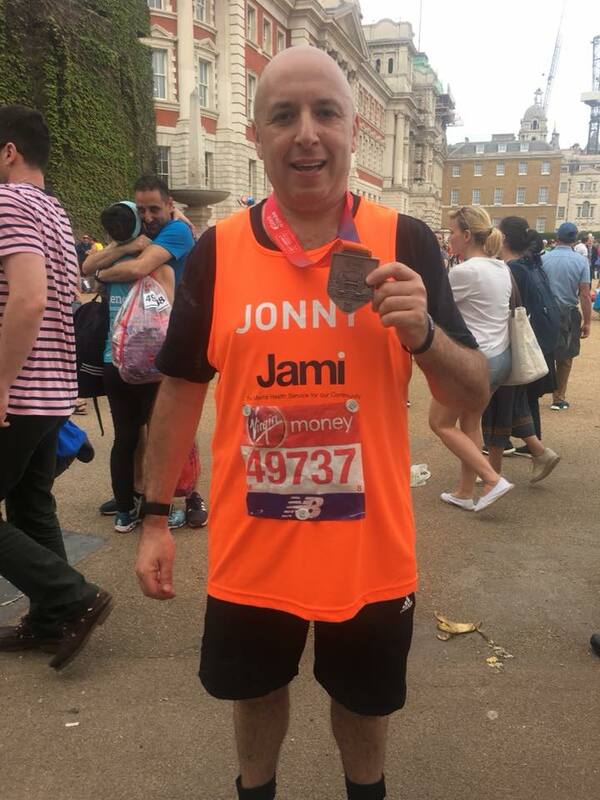 Yesterday saw Team Jami, made up of Michele, Jonny and Mark run 26.2 miles through the streets of London in 23-degree heat in an amazing effort to raise much needed funds for Jami, the community’s mental health service. 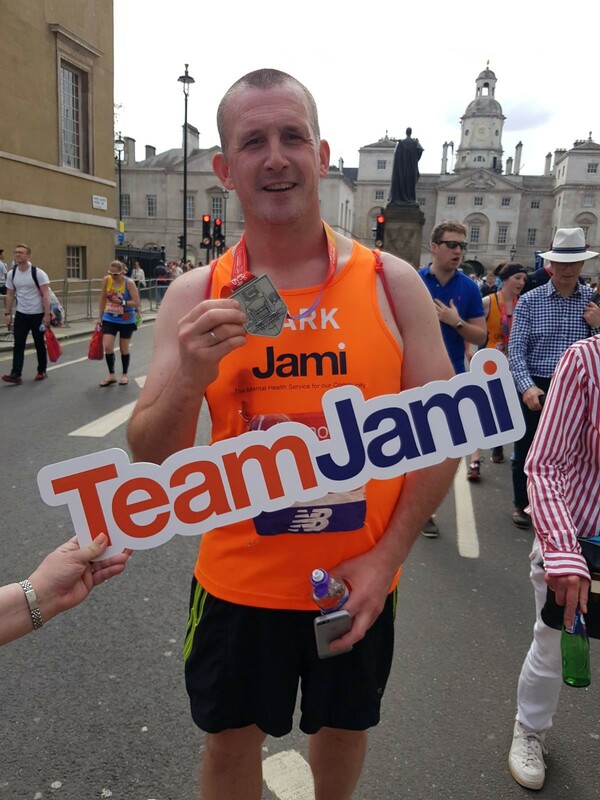 Collectively, Team Jami have so far raised an incredible £22,000! Michele decided to run her first marathon to coincide with her 60th birthday and is something that she has been keen to tick off her bucket list. Michele said she chose to run for Jami as she knows how difficult living with a mental illness can be for both the person with the diagnosis and their family. Michele said “in November 2011, a close family member attempted to take their own life. A shocking event and completely unexpected – it leaves a legacy that has an impact on day-to-day-lives and will continue to do”. 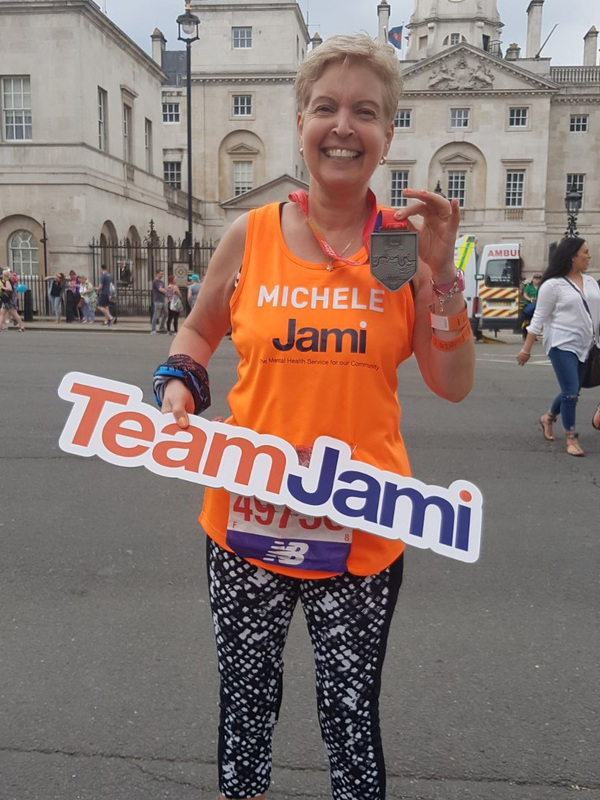 Michele’s story has inspired many and was featured as a case study on the BBC.Passionate about the cause and with sheer perseverance, Michele has raised a staggering £15,000 for Jami! "Running the London Marathon was one of the hardest challenges of my life. But does not come close to the challenge of raising a child with mental health conditions." If you would like to support Team Jami, please donate here.